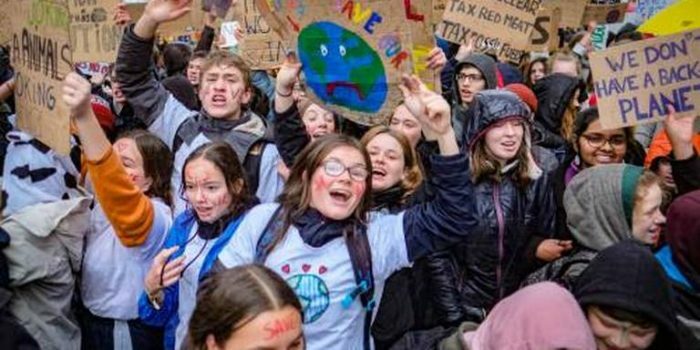 From 3000 to 35.000 in three weeks….. Belgian Climate “brossing” schoolkids are forcing a new political momentum in climate policy in Brussels. Meeting up every Thursday and marching to the EU quarter, they demand more action to safeguard their future livelyhood. Inspired by Greta Thurnberg who started to quit school on Fridays to protest in front of the Swedish parliament, schoolkids are gathering across Europe forcing radical policy changes. Not that EU Climate policymakers are starting to respond in a more convincing way: although the EU Parliament Environment Committee draft Resolution, on the strategy for long-term EU greenhouse gas emissions reduction in accordance with the Paris Agreement (2018/2974(RSP)), of Janaury 29, 2019 ” points that the EU GDP is expected to increase more under zero emissions scenarios than in scenarios with lower emission reductions, …” MEP struggle to back one text. The risks posed by climate change also topped the discussion in the closing session on January 25, 2019 of the annual gathering of adult business and government leaders at the World Economic Forum Annual Meeting. Surface temperatures have already risen by nearly 1°C and are not stopping, with the five warmest years on record occurring since 2010. A rise of 3°C will wipe out 25% of global GDP, while the cost in human suffering will be immeasurable, according to the World Bank. “Climate change is happening faster than we thought it would,” said Kristalina Georgieva, Chief Executive Officer of the World Bank who followed a joint session of Greta Thurnberg with Cristiana Figueres who led the Paris COP21. On January 27, 2019 Brussels staged another record breaking general Climate March “Claim the Climate” while two days earlier 71 Dutch economists suggested a CO2 tax of € 50 per ton to ensure that the 49% reduction target is met by 2030. On January 29, 2019 the FCH JU infoday on the new call gathered a new crowd of Hydrogen Valleys’ representatives and even oil companies and oil countries looking for partnerships to boost green hydrogen communities. The Call is open till April 23, 2019 but given the 60 -80 mln co-financing budget needed by regions only the happy (Nordic) few seem to be comfortable submitting proposals. In the meantime EHA is gathering more momentum for larger infrastructure programs analyzing the situation for hydrogen around airports: the latest EU report requested by the EU Commission points to a carbon dioxide emissions increase by 16% and nitrogen oxide emissions went up 25% as from 2005 because of the 60% increase in passenger kilometres….